coming back to san francisco after a weekend at home in southern california--running at the beach, swimming outdoors--made me really disgruntled about coming back to city life. not that so cal life is rural or tropical by any means, but there was some element of a slower pace, the time and opportunity to appreciate the water and sky, and spacious parking lots that made me really long for something different than my alleyway that is a frequent stomping ground for the rattle and ruckus of shopping carts pushed by homeless people who are rummaging through our recycle bins, domestic fights involving shouting and throwing glass bottles from the aforementioned recycle bins, drunk folks vomiting while they keep walking, human poop with comb inserted into it, and the rudely awakening oom-pa-pa of tuba-filled mexican music and spanish chatter taking place literally on our doorstep. i did not even realize how much stress i'd been feeling about it until i left, and i guess it was so bad that it made even l.a. seem like a happier-go-luckier land. not bad for a week and a half, i figure. and i do feel a lot better, and i think i've snapped out of my moving-back-to-l.a.-stupor...for now at least. did not know ikea has plants for cheap. will add to list! i think that's it for my lengthy comment. i hope that makes up for whoever deleted theirs earlier. 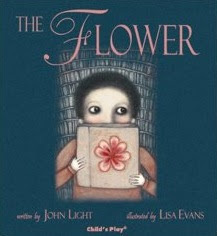 thanks for featuring this book and helping to unearth my flower!